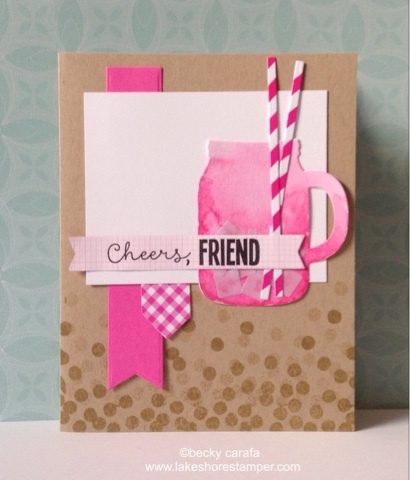 I made a pretty pink drink card for this week's sketch. Thanks for stopping by! Great card and great take on the sketch. Love the pinks and especially your mug and straws - very cool!